By the time she was a sophomore at IU, Megan Huibregtse had experienced four concussions, one of which led to the discovery of a brain tumor (that fortunately proved benign). These injuries, which resulted from sports and an aggressive encounter with a cabinet door, prompted the biochemistry major to turn her attention to the brain and its resilience. 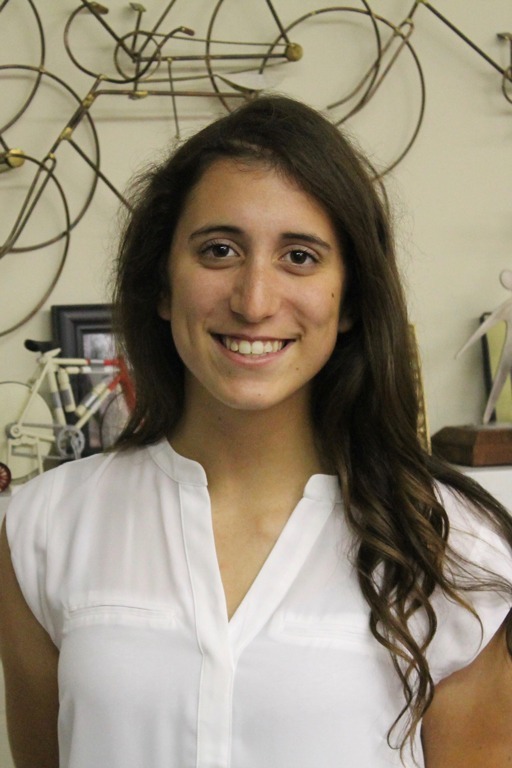 After shadowing the neurosurgeon who had removed her tumor, in her junior year she switched her academic focus to neuroscience and contacted Gill Chair Andrea Hohmann about possible research opportunities. “I made a list of all the professors whose research interested me, and Dr. Hohmann’s work on pain was very compelling,” she recalls. Huibregtse took on 15 hours a week in the Hohmann Lab, performing western blots to identify specific proteins in nervous tissue samples. Her work contributed to investigating interactions between different proteins during pain signaling, with the ultimate goal of determining whether these interactions could be interrupted to diminish pain response. Staying on in the lab through the following summer and fall, she also helped to code mouse behavior for potential indications of cannabinoid withdrawal. Megan Huibregtse, former student in the Hohmann Lab. “I was actually able to craft a couple of behavior-coding protocols that the lab still uses,” she says. As her senior year came to a close, Huibregtse met with a newly hired professor at IU’s School of Public Health-Bloomington, hoping to learn more about his research on concussions. Unexpectedly, he offered her the opportunity to become his PhD student – bypassing the usual master’s degree requirement.